NVT Quality Lifestyle Projects Pvt Ltd.
NVT Mystic Garden is a residential development of NVT Quality Lifestyle. Located in the midst of Bangalore, it is built across a wide area. These luxurious 3.5BHK and 4BHK housing units makes it a dream home to everyone. These villas are beautifully crafted with world class amenities and is approved by Karnataka RERA. Where is NVT Mystic Garden located? The project is located in Sarjapur Road, Bangalore East. 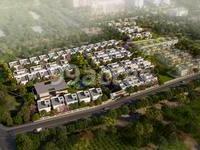 How much is the total size of NVT Mystic Garden?The project is spread over an area of 7.1 Acres. When is the possession of NVT Mystic Garden expected?The project is slated for delivery in Jul 2020. Does NVT Mystic Garden have cricket pitch? The project doesn't offer a cricket pitch. Does NVT Mystic Garden have skating rink? There is no skating rink in the project. Is there a basket ball court in NVT Mystic Garden? The project offers a basket ball court. CP Fittings: Good quality CP fittings. and the Middle East. NVT Quality Certification has certified more than 500 companies for ISO 9000, ISO 14001, ISO/TS 16949, AS 9100, ISO 27001 and Third Party Inspection Services. The renowned projects under the NVT Quality Lifestyle' umbrella are NVT Open Sky and NVT Arcot Vaksana, running successfully in different localities of East Bangalore including Whitefield and Sarjapur Road respectively. Providing such world-class infrastructure and housing solutions to their customers, the builders have the strength to dream big and achieve it. NVT Mystic Garden is built by NVT Quality Lifestyle Pvt. Ltd. It's a leading group in real-estate market in Bangalore. 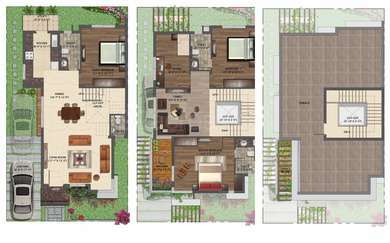 The team of this builder group is known for its superior work and punctual delivery of high-end Residential Villas developed precisely in accordance with the pre-defined specifications.